ADDIS ABABA - Absence of a full-fledged policy framework is keeping the potential and the actual performance of Ethiopian tourism sector rather imbalanced. The government is not yet fully exploiting the tourism potential of the country. There are nine historical sites registered by UNESCO. Moreover, Ethiopia is claimed to be the origin of mankind and it boasts with tens of touristic, cultural and historical attractions. According to the latest Travel and Tourism Competitiveness Index (TTCI), Ethiopia has still a lot to do in terms of its competitiveness and regulatory framework of the tourism sector. For the time being, trips remain relative expensive, but this is not discouraging tourists from returning back again and again. “Ethiopia is a very large country and it is not a one-time trip. 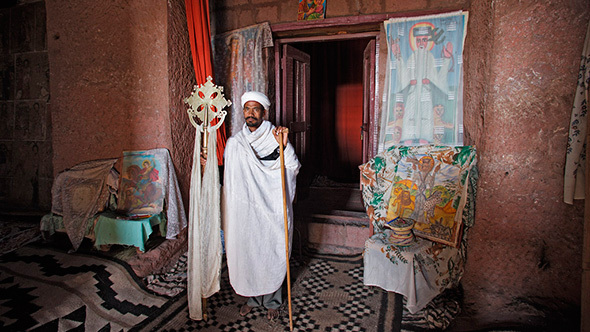 We have clients who come four or five times,” says Samrawit Moges, managing director of Travel Ethiopia, who has been in the industry for over 20 years. The average stay of a tourist in Ethiopia is 6.5 days while the daily expenses are 160 USD according to the latest data available at the Ministry of Culture and Tourism (MoCT). In the latest report (2011), the overall revenue the country earned from tourism was only 411.7 million USD despite its target to earn 3 billion USD by mid-2015. For a more accurate performance of the tourism industry we would need to know how the sector performed in 2012 and 2013, but reports are not available. Ethiopia has a good chance to become one of the top travel destinations on the continent. 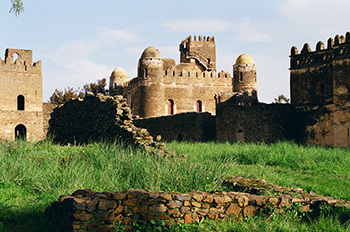 In addition to the nine historical sites registered by UNESCO—such as rock-hewn churches in Lalibela, the Axum monument, Gondar castles, and the Sof Omar cave—endogenous animal species such as chillada baboon and Walia Ibex, which are only found in Ethiopia, are just another of countless wonders and treasures found in Ethiopia. The active volcano and its surroundings are another attraction site. “Ethiopia is not very well-known worldwide but it is an amazing destination,” says Dario Morello, the CEO of Green Land Tours & Hotels, known as the best tour operator in Ethiopia. “What makes Ethiopia different from the neighboring countries like Kenya, Tanzania and Uganda is that our attractions are not just nature and wildlife, but they are much diversified. We have culture, history, nature and scientific tours,” claims Moges. No doubt about the country’s tourism potential. 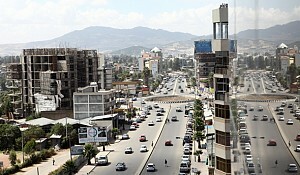 “Ethiopia is a very large country and it is not a one-time trip. We have clients who come four or five times." But the performance is quite on the contrary. Countries like Kenya, Tanzania, and Uganda have registered a robust growth in tourism while Ethiopia is lagging behind. All these countries are among the top ten tourism beneficiaries on the continent while Ethiopia failed to be included among the top twenty. The sector currently contributes not more than 1% to the country’s GDP. 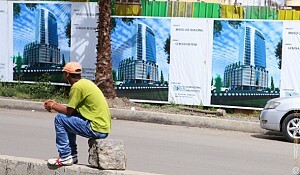 “This is very ridiculous,” says Zenawi Mesfin, the general manager of Intercontinental Addis Hotel. The poor tourism infrastructure has been highly hindering the development of tourism and in consequence the overall revenue was affected, too. Though Addis Ababa is among the top three cities in the world with a large diplomatic community, there is still a lot to be done in terms of the hospitality industry in the city. “The government should be focused on the tourism industry right now―just like it is focused on agriculture or capital markets,” comments Mesfin. “If it does not pay attention to this particular sector, it will be a huge loss for the country,” he adds. The hospitality industry in Addis Ababa used to be for years dominated by only two five star hotels: Hilton and Sheraton Addis, the latter owned by MIDROC Group’s founder Sheik Mohamed Al Amoudi, the key investor in the country. Contrary to the huge demand of the industry the supply is still too low though there is a progressive increase. Currently there is only a handful of five star hotels in the capital city. The demand for more luxury hotels is far from being satisfied. “It is at its infancy level,” claims Mesfin. 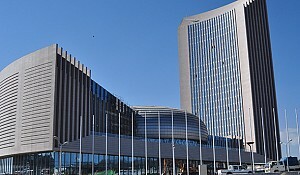 Thanks to the African Union, the United Nations and other international and regional organizations, Addis Ababa is becoming a hub for conferences for the whole of Africa. As a result, those who are involved in the industry greatly benefit, hotels are almost always booked out. “We are relatively new but within the last six months we have achieved quite a lot. We have reached full occupancy in basically the four months since we opened,” explains Marta Adugna, the owner and general manager of The Residence Suite Hotel, which offers long-term accommodation in Addis Ababa. The market is simply untapped. The recently emerged hotels such as Intercontinental Addis Hoten and Radisson Blu are about to open additional branches within the country. The government has recently started addressing the challenges that Ethiopian tourism sector faces. Though it is a bit late and it only comes a partial attempt when compared to the country’s potential to the tourism sector, there are currently ongoing projects to promote the sector. “Here in the UN Conference Centre, we are partnering with the Ethiopian government in various sectors to market Ethiopia and particularly Addis Ababa as a tourism and conference hub in order to further the visibility of Ethiopia in the world,” notes Gerard Hounkponou, chief of UN Conference Centre (Conference Coordination Unit, Conference Services Section). 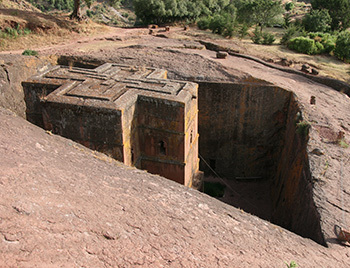 With a 35 million USD loan from the World Bank, the MoCT is working on improving the tourism infrastructures of ten different tourism sites, including the one of Lalibela. Other projects are to be undertaken in the tourism industry with the help of 10 million Euro granted by the EU—particularly in terms of the capacity building. 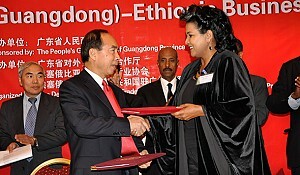 A separate council under the guidance of the tourism minister of Ethiopia was also put in place. Moreover, Ethiopian Airlines—the leading African airlines—are further expanding and covering new destinations across the globe. Their expansion is also expected to contribute a lot in terms of developing the tourism sector by attracting more tourists and promoting the country’s assets. The robust economic growth of Ethiopia during the last decade is yet another factor that makes the future of Ethiopia’s tourism sector promising. “In a very short time, Ethiopia will be one of the highly-frequented destinations on the continent,” envisions Moges from Travel Ethiopia. Greenland Tours & Hotels’ CEO has the very same vision: Ethiopia is to become one of the top travel destinations in Africa.